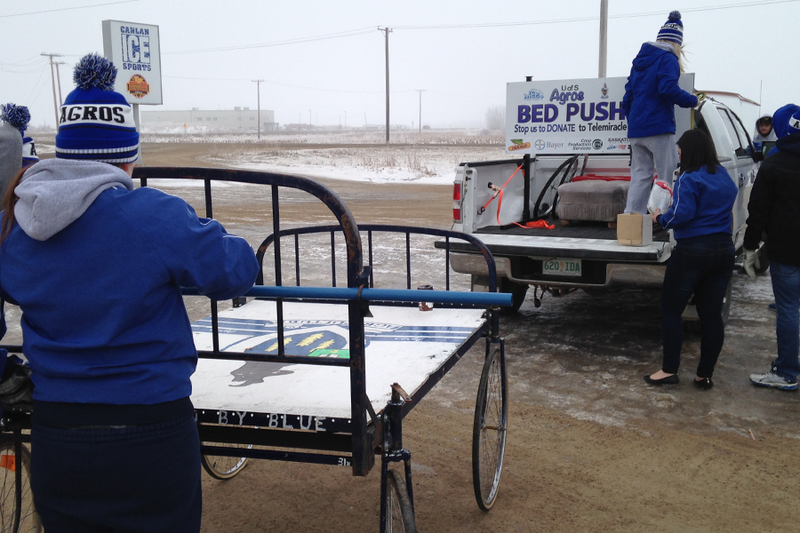 Agriculture and bioresoruce students participate in the yearly bed push for Telemiracle. For the 34th year in a row, students from the College of Agriculture and Bioresources made their bed—and wheeled it, too. A group of fourty students took turns pushing the bed all the way to Regina for Telemiracle 40—which took place this past weekend—while accepting donations along the way. They started their journey down Highway 11 on Thursday and made it in time on Saturday, raising $25,750 along the way. The yearly telethon, organized by Saskatchewan Kinsmen and Kinettes, alternates between host cities Regina and Saskatoon. In total, Telemiracle 40 raised just over $5.2 million.